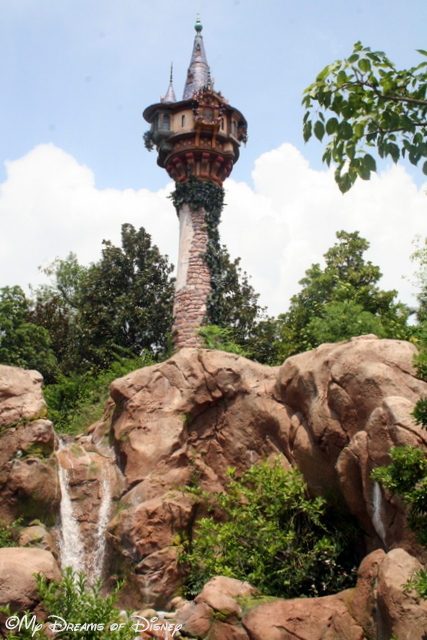 Rapunzel’s Tower from the movie Tangled. Hello everyone, and welcome to this week’s #DisneyMusicMonday post. We are joined by my co-host Tim from Dad for Disney. Welcome Tim, and welcome to all of you that are stopping by to get a lift on this early Monday morning! I hope that the song I’ve chosen gives you a smile and helps start your week off right! As you can see, today I’m focusing on the Disney movie Tangled, which is one of my favorite movies. There is a lot of great music associated with this film, and today I’m going to focus on the song “I’ve got a Dream” — the song performed inside of the Ugly Duckling! Have a look at the YouTube video listed below, and enjoy! Now please have a look at the rest of the entries, and thanks for stopping by! If you have a blog and want to link up a post that fits our topic, please feel free to do so! Have a great week, everyone! Also, don’t forget to enter to win a copy of the book “A Christian’s Guide to Walt Disney World Resort” by Jeff Chaves! The giveaway runs until Sunday, September 21st, at 11:59PM. Good luck everyone, and thanks! #DisneyMusicMonday – it’s a small world! Previous Post: Prayers for the Week – Colossians 3!